Harba | Blog - How about a get away to Rügen? 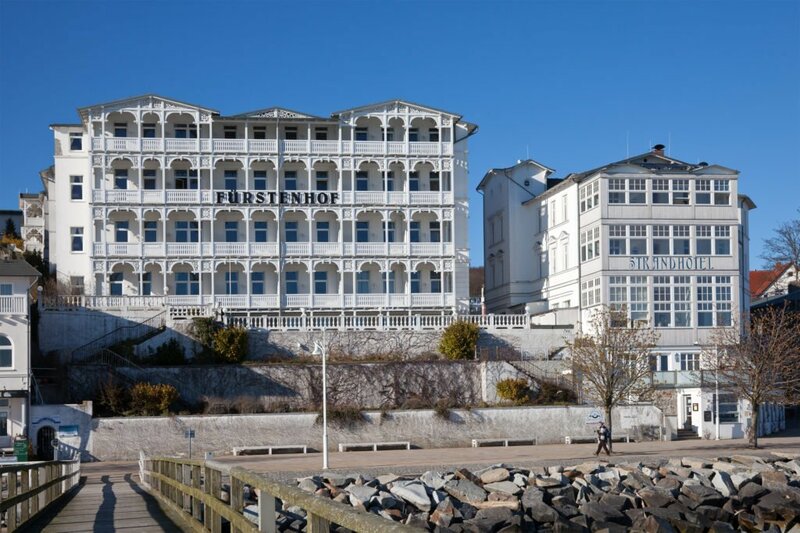 How about a get away to Rügen? The nature reserve in the northeast of Rügen island is one of the places you have to visit during your stay. It is famous for the largest chalk cliffs of Germany, and the highest spot is named the “Königsstuhl” (which means: king’s chair). 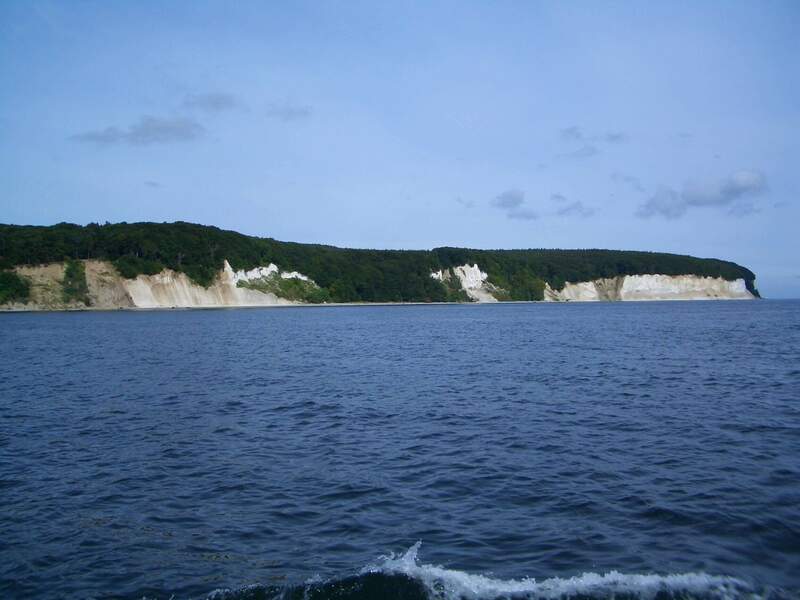 These cliffs are up to 160 m above the Baltic Sea and gloriously white and impressive. This landscape was formed during the ice age, and if you stand next to them, you will be left speechless. Next to the white chalk cliffs, the beautiful beach forests behind the cliffs are also part of the national park. The admission fee for the park is € 8.50. The Ralswiek Castle was built during Neo-Renaissance era, in 1893 and it is stunning both from outside and inside. The original decor has largely been preserved and you can spend some time getting inspired and carried away. The castle re-opened in the spring of 2002 as a fully operational hotel and restaurant. Furthermore, the broad variety of flora makes the castle grounds one of the island’s most beautiful sights. 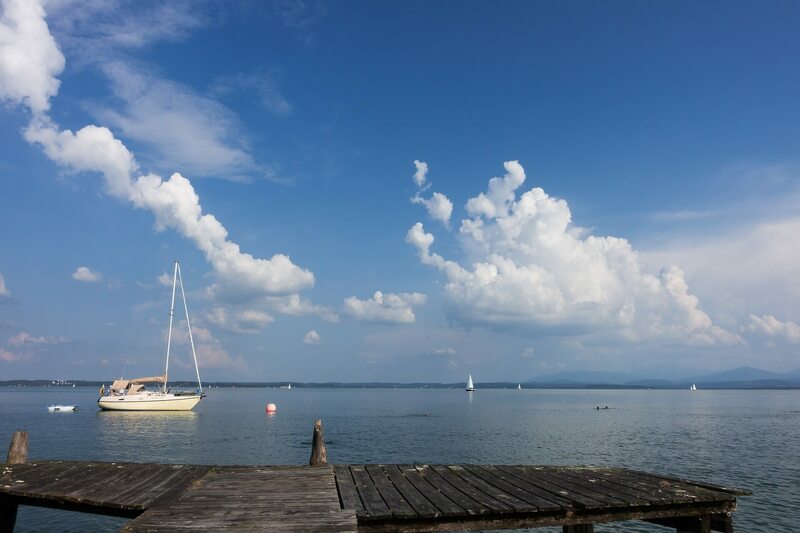 Dive in, visit the castle and feel like a duke! 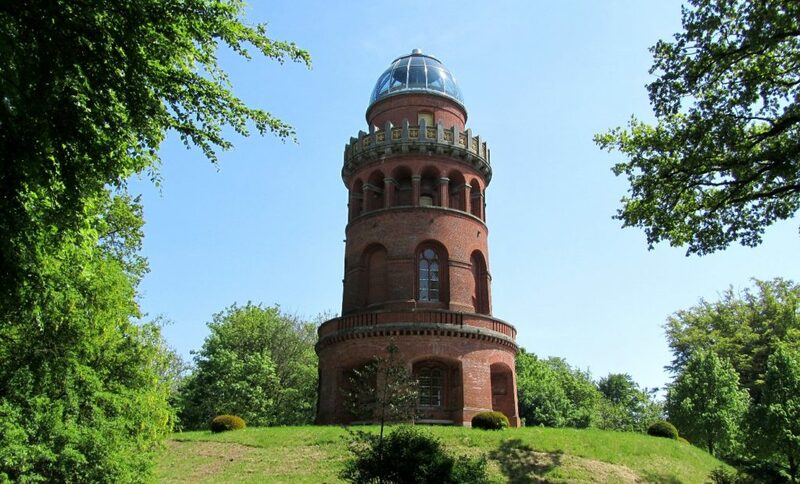 You can take a beautiful walk to the Rugard Tower or Ernst Moritz Arndt Tower, which is 27 meters high, with a glass cupola. The tower was built in honor of Ernst Moritz Arndt, a famous local poet and historian. A winding staircase with 80 stairs will take you up to the three panorama platforms and the glass cupola, where you enjoy a magnificent view. 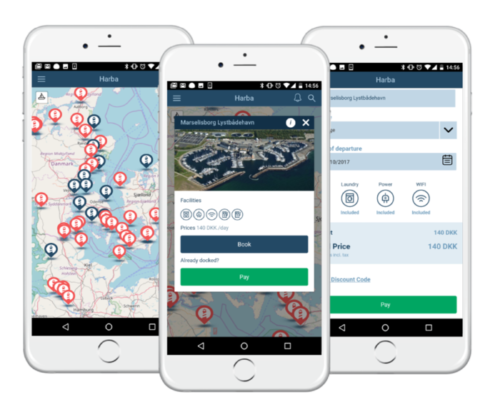 You will see the vast stretches of the island, little towns and of course, the wide blue sea. And last but not least: Sassnitz. It is a small town on the Jasmund peninsula on Rügen Island. It is a well-known resort town and from there you can reach the nearby Jasmund National Park with its unique chalk cliffs. 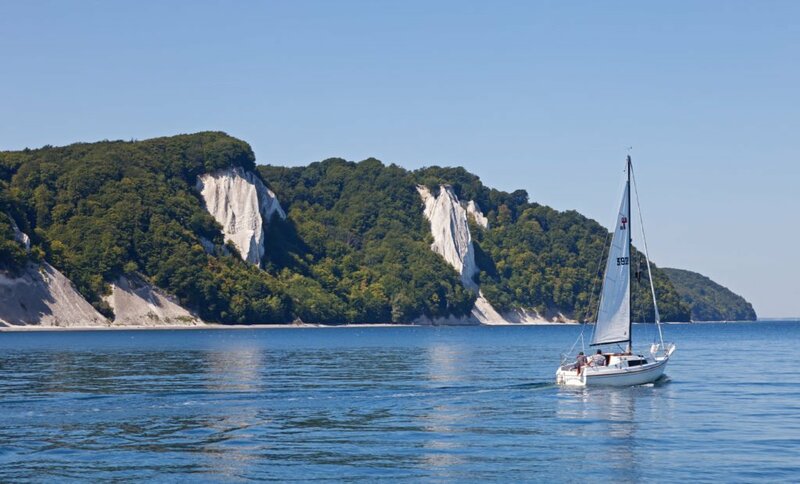 You can go for a beautiful hike here.The 9 km hike along the chalk cliffs of Rügen should be on your to do list when visiting – and you can even hike back along the beach and see the same magnificent coast from the bottom as well. Starting in Sassnitz, just next to the animal park, you will first walk a good kilometers through the beautiful beach forest before reaching the cliffs of Sassnitz. Besides the wonderful natural sight, you can visit also Rügen’s only zoo, the Sassnitz Wildlife Park. We can’t wait to return to Rügen next season. How about you? If you already want to plan your sailing trip, make sure to check out our partner harbour in Rügen, Forellensteg Seedorf! Check out their Facebook here: HafenSeedorf.